Every so often, County Progress asks our distinguished Judges and Commissioners to allow us a glimpse into their public lives, giving us a fresh appreciation for the myriad of roles and responsibilities they shoulder every day. Our thanks to Brooks County Judge Imelda Barrera for taking the time to visit with us. I ran for County Judge in 2014. After the primary election I was in a runoff election, and in November 2014, I had a write-in candidate. After three grueling elections in one year, I felt prepared to grab hold of the County Judge’s office and lead the county in the right direction. I am the first female County Judge in over 100 years. I am proud to lead Brooks County, and I am a full-time County Judge. 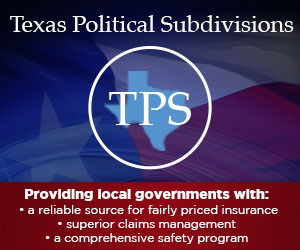 I have more than 25 years of tri-level government experience: federal, state and county. I am a graduate of the Falfurrias High School Class of 1981 and a proud Javelina Graduate from Texas A&I University-Kingsville. two boys and three girls – and three gorgeous grandchildren. I am honored to say my daughters have bachelor’s and master’s degrees from Texas A&M University-Kingsville. My son graduated from Texas A&M University-Corpus Christi with a bachelor’s degree in business; he is currently serving in the U.S. Navy on the U.S. Theodore Roosevelt and is stationed in San Diego. Yes, it’s everything I expected and more! With my previous experience, I was familiar with the organizational structure of the court system, natural disasters, budgets, and running an office. 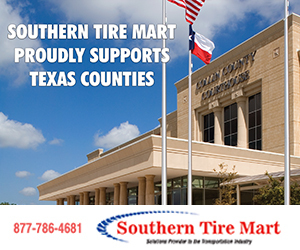 The duties of the County Judge are countless and entail judicial functions, state and federal grants, economic development, Commissioners Court, and providing services to our veterans. Every day is a new day as County Judge, and there is not one day which I can say is like another. I enjoy meeting the needs of the constituents and love helping people. The needs of the constituents come first because they are valuable and important. As their leader, it is my obligation and responsibility to meet their needs. I am always available to talk and listen to their concerns in order to help them. I appreciate their confidence in me to help resolve their problems. With limited resources it is very difficult; however, for the last three years, I have been keeping my commitment to the constituents, that being bringing Brooks County to its full capacity with a county government that works together for the betterment of the people. Imelda Barrera is sworn in as Brooks County Judge by her uncle, Gustavo Barrera, a retired U.S. Air Force veteran. The biggest challenge is working with old politics when it comes to the county budget. While I have been busy trying to change this way of thinking to move Brooks County forward, many challenges still remain. Optimism and positivity are my visions for Brooks County. Unfunded mandates passed by Austin are usually difficult to deal with due to limited revenue, but I have managed. I worked in conjunction with the Texas Workforce Commission to put constituents back to work, including those who have been laid off from the reduction in the oilfield. Brooks County will have a state-of-the-art U.S. Border Patrol Station completed by the latter part of 2018, which in turn has created many constructions jobs. The Alexis Solar Panel Company in southern Brooks County has also created some much-needed income for the county. Although we have had some loss of revenue, the unknown treasure of the busiest corridor in Texas is still being maintained with strict spending obedience, which I expect from all elected officials. Despite challenges, I continue to move Brooks County forward by seeking grants and other resources. Truancy Officer Betty Rios, Juvenile Probation Officer Mary Alice Longoria, Chief Juvenile Probation Officer Chris Arevalo and Judge Imelda Barrera. I am honored to be the County Judge because I know how each constituent feels when someone in public office does not tend to his or her needs. I understand what it is like when someone simply states, “We will get back with you,” and you sit and wait for the phone call the politician promised you, and to no avail the problem remains and never gets resolved. When I ran for County Judge, I said that everyone in Brooks County would have a voice. It hasn’t been easy, but one day it will change. I am fully dedicated to serving the people, and I enjoy what I do. I am relentless in my efforts to bring Brooks County to see better days throughout county government. I have met many people and have built relationships throughout the state. I will always be grateful to the people of Brooks County for giving me the opportunity and gaining their confidence, not only in taking Brooks County out of serious financial debt, but striving to build a better Brooks County. The people of Brooks County and their needs keep me motivated. I am proud to say I have worked untiringly to run this county government with financial transparency, fairness, accountability and integrity to provide Brooks County stability and demonstrate that words like honesty, trustworthy and honorable still exist. I serve as a drug court judge for first-time offenders, and I take my rulings seriously on juvenile and misdemeanor cases. I support and advocate for domestic violence awareness, child abuse prevention, anti-drug and anti-truancy, and I promote and sponsor “stay in school” activities. As the top elected official, I ensure that our children will grow up and understand how necessary an education is. I have sponsored many children in school activities and have given scholarships to Falfurrias High School students to be able to further their education. I love my community, and it deserves to be treated with dignity and admiration. As the director of emergency management for Brooks County, I have managed to reshape the goal of the EMC. I am proud to say I have established one of the most experienced emergency management teams for Brooks County with individuals who voluntarily serve and are prepared to meet the needs of Brooks County in case of an emergency. I recovered a grant which was on liquidation status due to lack of management. That grant was for installation of a repeater tower in southern Brooks County. During emergencies, radio communications are difficult due to no service in that area. Therefore, it opens an opportunity for major disasters, including endangering the lives of first responders. I was able to recoup the grant for over $19,000 and help improve our communication in southern Brooks County. Sheriff Benny Martinez, Judge Imelda Barrera, Emergency Management Coordinator Lamar Villarreal and Fire Chief Ruben Ramirez. I also managed a $68,000 Hazardous Mitigation Grant. The grant had a county match of $16,000. I was able to work with the Hazardous Mitigation Team to successfully almost match the $16,000 with in-kind man hours, I believe just shy of $1,300. I effectively completed all grants which were left unmanaged including drainage grants and lift station repairs. I have applied for the 2018-2019 Colonia Drainage Project for infrastructure and have received word that it has been approved. Our unemployment has dropped since last year with a slight increase of people employed of .02 percent. I serve on the South Texas Energy Alliance with other County Judges to advocate for the Raven Petroleum Energy Refinery, placing students from Brooks County at Del Mar College to complete a requirement for process technology for the future refinery. I have hosted numerous job fairs, resource fairs with the U.S. Department of Agriculture, and small business forums in order to provide resources for constituents. Family from left: Son Roque “Bubba” Ramirez Jr., son Homer Garcia Jr., husband Homer Garcia, grandson Cameron Seth Morones, Imelda Barrera, granddaughter K’Lee Rae Bazan, daughter Yulissa Garcia, daughter Angela Ramirez, daughter Erica Marie Ramirez, and son-in-law Anthony Bazan. Giving back to my community and our veterans who risked their lives so we can live freely has been a personification trait I would like to be remembered for. I had the honor of hosting a ceremony as one of the nation’s highest civilian honors was bestowed upon Korean War veteran Antonio “Tony” Muniz of Brooks County at our historical Brooks County Courthouse. I support our veterans, and as an American I am privileged to be the County Judge and take part in the recognition of our veterans. My goals remain the same: to work diligently and provide better representation for Brooks County. In doing so, I will continue to work for the betterment of Brooks County so our county may thrive and flourish, like I know it can and should, which will result in a better quality of life for today and the future. Although it was 3 a.m., Bryan and Kim Farmer were wide awake. The couple from Callahan County, where Bryan serves as a County Commissioner, had just bid farewell to seven young Californians who had taken shelter in the Farmer’s hotel room at the MGM Grande in Las Vegas. Some five hours earlier, the Farmers and the Californians had survived the rain of rapid gunfire mercilessly sprayed at the Route 91 Harvest Festival. While they were physically unharmed, two of the Californians had the blood of others on them. “Kim cleaned them up in our hotel room,” recalled Bryan. When County Progress visited with Commissioner Farmer, he and his wife had just received a card and letter from the Californians thanking the couple for their care and kindness during one of the largest mass casualty shootings in U.S. history. The official timeline of the Las Vegas tragedy has been adjusted and readjusted as the investigation has continued. The latest reports indicate that shortly before 10 p.m. on Oct. 1, Stephen Paddock, 64, sprayed some 200 rounds from his suite into the hallway of the Mandalay Bay Resort and Casino and wounded an unarmed security guard. Shortly after 10 p.m., Paddock unleashed a barrage of bullets from the 32nd floor of the Mandalay onto the festival crowd below, killing at least 58 people and injuring at least 520 as terrified concert-goers ran for cover. Paddock eventually turned the gun on himself. The personal timeline for Bryan Farmer began just after the first shots were fired behind the bleachers where the Farmers were seated. While many have stated they mistook the gunfire for fireworks, Bryan knew from the beginning that the sound he heard was from a gun. The Farmers are no strangers to Las Vegas and the three-day Route 91 Harvest Festival. The festival was coming to a close, and Bryan and Kim were in their purchased stadium seats next to the stage in the middle of the bleachers, Section B, Row G.
American country music singer Jason Aldean was well into his set when the gunfire started. In a matter of moments, it became tragically clear to Bryan that the crowd was the target; the music stopped, the stage went dark, and the audience began fleeing. The cries of “get down” were interrupted with the unmistakable sound of bullets hitting bleachers and chairs, and Bryan saw two people fall to the ground. The realization of the danger led to a flood of adrenaline, and Bryan Farmer acted on his first instinct: protect his wife. Bryan pushed Kim down, told her to lie on the foot row of the bleachers, and stretched his body across hers for what seemed like 10 to 15 minutes. “I just wanted to make sure she didn’t get hurt,” Bryan shared. The Farmers were sitting by a 30-something couple from California, and this husband also stretched out on top of his wife. As the bullets flew within 10 feet of them, Kim tried to comfort and calm her new friend, both of them bearing the weight of their husbands who protected them until the last bullet fell. The Las Vegas Police Department and the local sheriff’s department “did an excellent job,” Bryan recounted. They guided the crowd, urging everyone to keep moving and avoid a bottleneck so first responders could reach the fallen. A short time later, Bryan and Kim Farmer arrived at their hotel. As they headed toward their ninth-floor room, they turned to the group of young people behind them. Bryan turned on the television, and as the group watched and talked, the magnitude of what happened started to set in. As the adrenaline subsided, a retroactive fear of sorts was felt among the small group as they realized what they had just survived. “We never did go to sleep that night,” Bryan said. As soon as the young Californians left and Bryan and Kim cleaned up, friends and family started texting and calling and checking on them. The Farmers were scheduled to leave later that day, Monday, Oct. 2, and they flew into Abilene about 10 p.m. In the weeks to follow, not only would the Farmers receive a letter from the Californians who shared their room, but Kim would also receive an email from the wife she calmed and comforted on the bleachers during the barrage of gunfire. Theirs was not an easy story to share, and County Progress is grateful to Commissioner Farmer for visiting with us.